I am not ashamed to admit that I totally stole an idea from my sister. I mean, really, who hasn't that girl is full of them. One day the case broke. The screen spider-webbed. 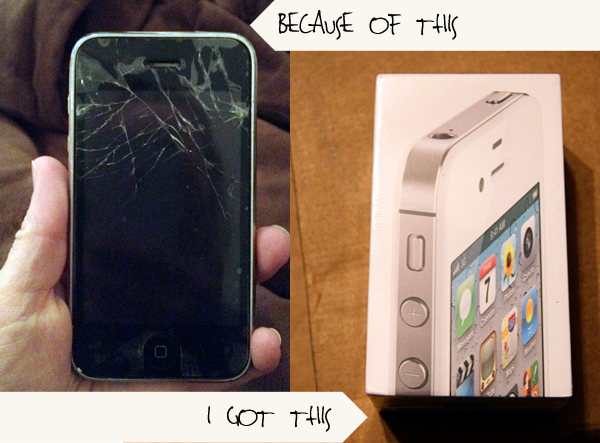 Thankfully my screen protector kept the screen from falling out so it still worked. I dropped it again. Screen broke more and lock button wouldn't work. Sweet P got her little hands on my phone and put it in the sink as I was washing my hands. Phone stopped working for a day then came back to life. Only, partially alive. Sound button stopped working and phone reception very poor. Then the final straw hit - the home button stopped working. You can't do much with an iPhone if the home button is broke. And I needed to protect my little friend. So I used my sister's recent post about customizing her case for inspiration. 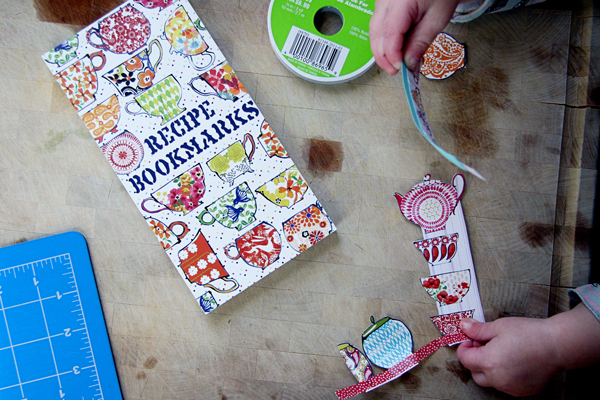 Only, I didn't use vintage scraps and things, I used my Anthropologie recipe card bookmarks! They are the cutest by the way. I cut, pasted and laid out a design I liked, with the help from my girl. So there you have it. 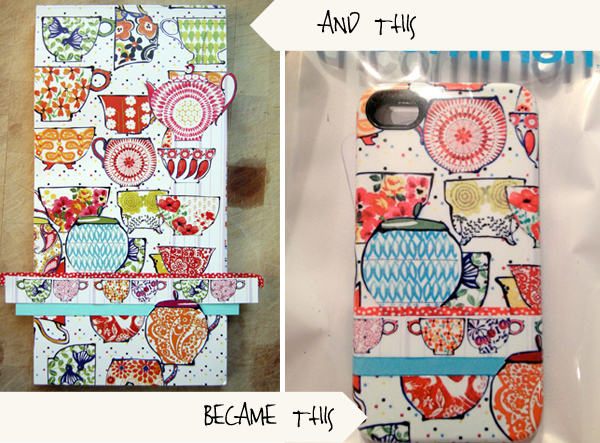 My very own customized, kitchen-y inspired iphone case with an actual, working phone in it! Thanks for the inspiration, Ash. Btw, congrats on the baby on the way! What will the age difference be? love it. i really want to make a case for myself! Thanks for all the comment love, ladies! The kiddos will be 21 months apart. We're thrilled! !